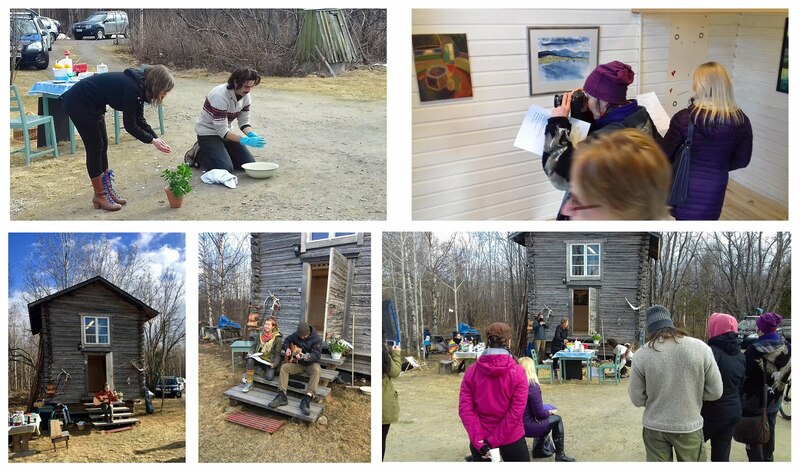 Last Saturday we held a taideilta (arts evening) with local artists, poets and musicians at our Aitta-studio in Sirkka. There was a small exhibition of paintings, photographs and works on paper inside the Aitta-studio and in the yard presentations of poetry, singing and performance art. 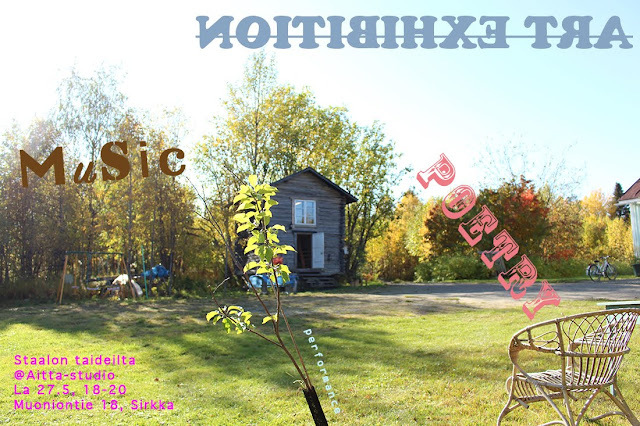 We contributed to the evening with our last performance The Misgivings of Perfect Love.